Emily thinks Adam's perfect; the man she thought she'd never meet. But lurking in the shadows is a rival; a woman who shares a deep bond with the man she loves. Emily chose Adam, but she didn't choose his mother Pammie. There's nothing a mother wouldn't do for her son, and now Emily is about to find out just how far Pammie will go to get what she wants: Emily gone forever. 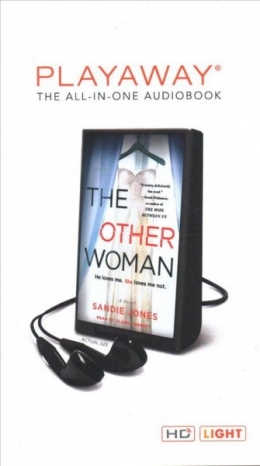 The Other Woman is an addictive, fast-paced psychological thriller about the destructive relationship between Emily, her boyfriend Adam, and his manipulative mother Pammie. 1 audio media player (600 min.) : digital, HD audio ; 3 3/8 x 2 1/8 in.